For English soccer, the first two-week international period of the new season often doubles as the next phase of a post-mortem into the national team’s failings at a recent tournament. As the squad gathered at its St. George’s Park training base this week ahead of matches against Spain and Switzerland, it was a chance for the players to reminisce about their journey to the World Cup semifinals during a summer when the English fell back in love with their vibrant team. Yet, despite all the euphoria, soccer didn’t come home and the wait for a first international title since 1966 goes on. And the visit of Spain — with its seemingly limitless supply of gifted and technical midfielders — to Wembley Stadium on Sunday could serve as a stark reminder about where England’s main weakness lies at the start of the journey toward the European Championship in 2020. Jordan Henderson, the most experienced member of England’s midfield, watched a replay of the Croatia game soon after returning home from the World Cup. He couldn’t help but notice a flaw that has affected England’s midfield for some time, even when the so-called “golden generation” of Steven Gerrard, David Beckham and Frank Lampard were playing. How England could do with someone like Luka Modric, who helped turn the match in Croatia’s favor that night in Moscow, or any of the Spain midfielders — Isco, Thiago Alcantra and Saul Niguez among them — expected to line up at Wembley. Game management, especially against top-quality rivals, has been England’s undoing and the team panicked under pressure against Croatia, at times hoofing the ball long or taking on an opponent when a simple pass would have done. The same happened in two matches against Belgium (one in the group stage and the other in the third-place playoff) and also in the latter stages of the last-16 match against Colombia, the other teams with a strong, technical midfield that England faced at the World Cup. One player who would have added more technical ability is Adam Lallana, but he was injured in training this week and isn’t available. Leicester midfielder James Maddison has lots of potential, but he was selected in England’s under-21 squad. Phil Foden, the highly rated midfielder who starred in England’s World Cup-winning under-17 team, was expected to get more action at Manchester City this season after Kevin De Bruyne’s injury but he has played only about 10 minutes in City’s first four games. 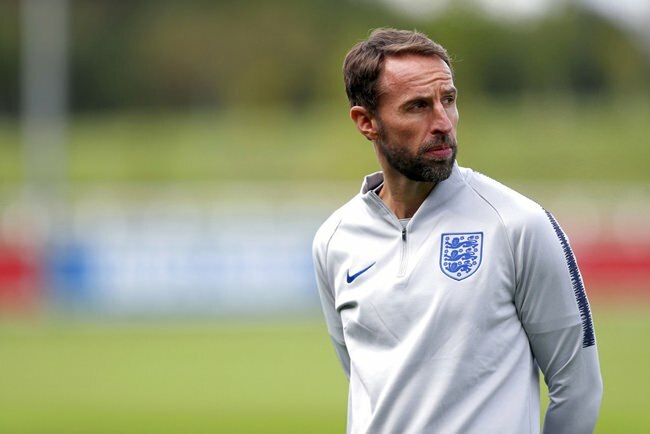 Southgate has bemoaned England’s small pool of available talent, saying English players have played 30.4 percent of the 7,200 minutes in the Premier League this season — down from 33 percent at the same time last season.